Cartoon World Landmarks Puzzle [BFG-11524] - $16.50 : Force of Habit, Your On-Line Store of Choice! 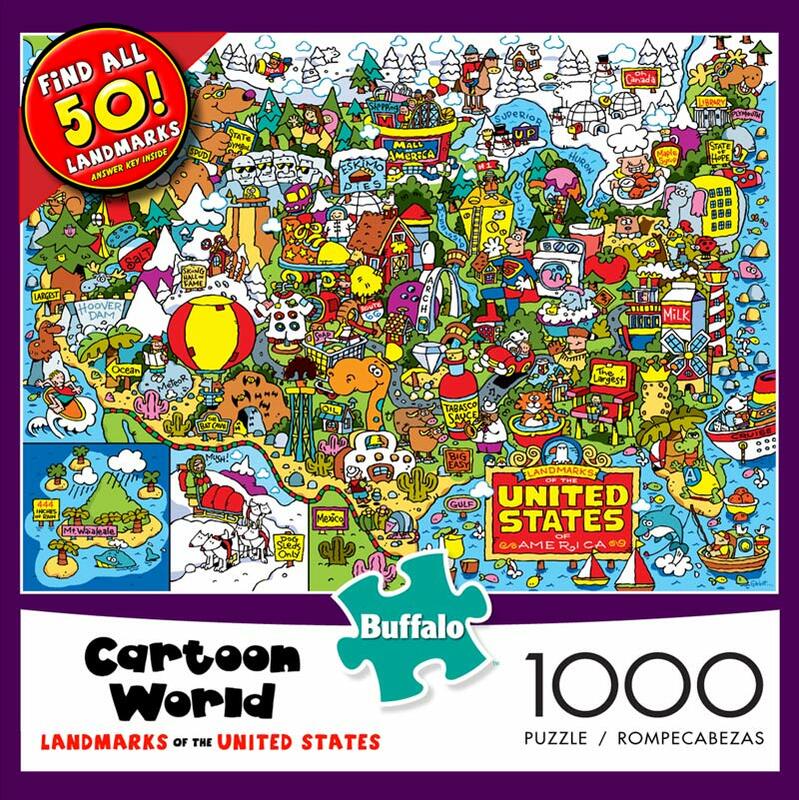 Landmarks of the United States Cartoon World 1000-piece puzzle by Buffalo Games. This puzzle features landmarks throughout the entire nation in a fun, bright cartoon nature. Perfect for families teaching young ones! Artist Dave Harbot has created a fun and unique way to learn about America's treasured landmarks and their fascinating history. A map of the United States if full of un facts and cartoons illustrating the long history of the country in a colorful and bright way that is sure to help young children fall in love with these national monuments. From coast to coast and boarder to boarder to boarder everything that makes America interesting is here for your learning pleasure. Completed puzzle measures 26.75" x 19.75"